IWAKI, Japan (AP) — The operator of a Japanese nuclear plant that went into a tsunami-triggered meltdown knew the risks from highly radioactive water at the site but sent in crews without adequate protection or warnings, a worker said in a legal complaint. The actions by Tokyo Electric Power Co. led to radiation injuries, said the contract worker, who was with a six-member team working at the crippled Fukushima Dai-ichi plant's Unit 3 reactor in the early days of last year's crisis. The worker gave a rare public account of what happened at the plant during the accident. He spoke to The Associated Press on the condition that he be identified only as Shinichi, his given name. Shinichi, 46, described a harrowing scene of darkness and fear, wading with headlamps into a flooded basement through steaming radioactive water that felt warm even through workers' boots. "It was outrageous. We shouldn't even have been there," he said. He said his six-member team was sent to lay electric cables in the basement of the Unit 3 turbine on March 24, 10 days after its reactor building exploded, spewing massive amounts of radiation into the environment. Their mission was to restore power to pumps to inject cooling water into its overheating spent fuel pool. Shinichi said TEPCO and its primary subcontractor never warned them even though water leaks had been found elsewhere at the plant. Asked about Shinichi's allegations, TEPCO spokesman Yoshimi Hitosugi said the plant was aware of water leaks elsewhere but couldn't anticipate the water problem in Unit 3's basement. Shinichi's radiation exposure that day alone exceeded half the government's annual exposure limit, and he had to stop working on plant jobs soon afterward. Out of fear of harassment of his family due to the tendency of some Japanese to stigmatize those perceived as different or as troublemakers, Shinichi agreed to speak with the AP and several Japanese reporters on condition his face not be photographed. On Tuesday, he filed a complaint with a labor standards office in Fukushima, asking authorities to confirm TEPCO's safety violations and issue improvement orders. He also is seeking penalties — up to six months in jail or fines of up to 500,000 yen ($6,250) under the Industrial Safety and Health Act — against the company that supervised him. Shinichi's direct employer — the subcontractor for TEPCO — stopped calling him for jobs in March, just telling him to stand by. He now works on radiation decontamination of "hot spots" in Fukushima prefecture. "So I decided I've had enough of this unjust treatment. That's why I decided to come forward," he said. On the morning of March 24, 2011, Shinichi's team gathered at Fukushima Dai-Ichi's emergency command center to be briefed about the day's work. They donned double-layer coveralls underneath waterproof hazmat suits, charcoal-filtered full-face masks and double-layered rubber gloves. Each picked up a pocket dosimeter, with an alarm set to 40 times the dose detected the day before, expecting only a moderate increase of radioactivity. The actual reading was 400 millisieverts that day — high enough to cause a temporary, but not life-threatening, decline in white blood cells. 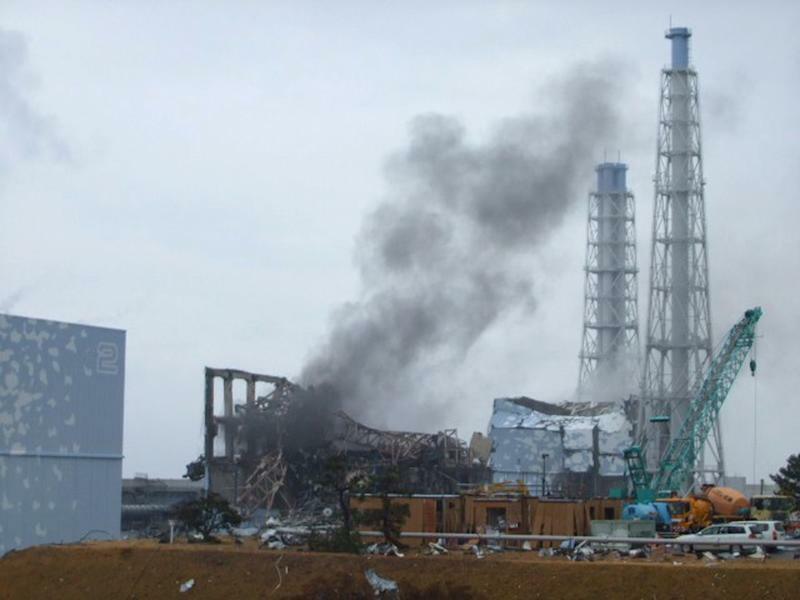 The March 11, 2011, earthquake and tsunami destroyed power and crucial cooling systems at the plant, sending three reactors into meltdowns and releasing massive amounts of radiation. 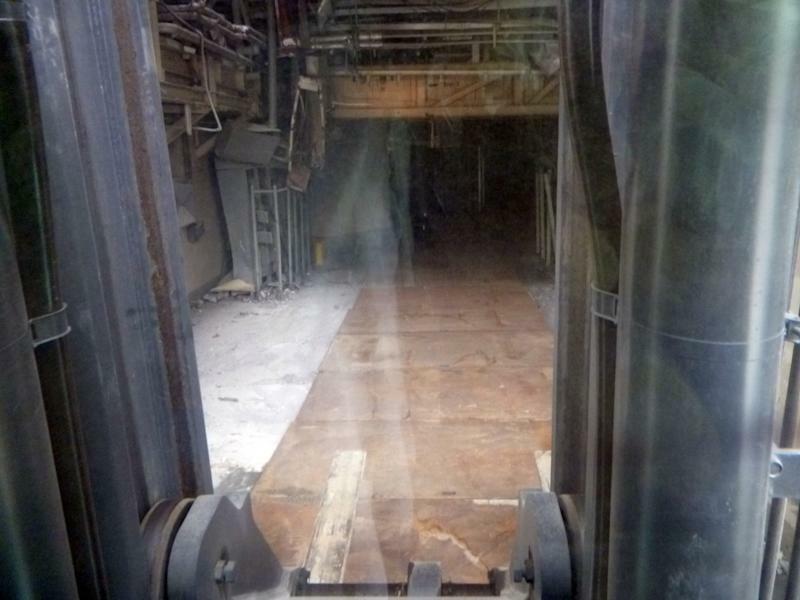 Tons of cooling water were pumped into the overheated and damaged reactors and leaked right out, pouring into the basements of the buildings housing them and nearby facilities. Shinichi recalls a simple instruction: Just go in and connect the first floor and basement electrical switchboards. The radioactivity might be a bit high, but shouldn't be a problem. "There was no mention of the water," Shinichi said. So the men wore whatever boots were available — only two wore knee-high rubber boots, and four others, including Shinichi, wore short ones. With only headlamps on their helmets to light the way, they entered the building from a hole cut into the wall, since the electric door was still inoperable. Three men hired by two other contractors went into the basement, while Shinichi and his two colleagues waited on the first floor. Looking down, he saw water, with steam rising from the surface, and heaps of debris and mangled equipment. "It was eerie," he said. "If you're a nuclear plant worker, you know that water on the floor is bad news. You just don't touch it." The dosimeter alarms — set to beep five times before reaching a maximum — sounded several times shortly after they entered the site. Seconds after the three workers started going into the basement, the dosimeters began ringing loudly and then went silent, a sign the intended limit was exceeded, though the team's leader said it must be an error. The three workers in the basement waded through the ankle-deep water to check the wall-mounted switchboard and came back up, saying the water felt warm through their rubber boots. Another team sent in to do other tasks rushed back out without doing any work, ignoring Shinichi's team, after measuring dangerously high radioactivity in the basement. But his group stayed, making several more trips into the flooded basement. Two workers wearing short boots got their feet soaked and suffered beta-ray burns which were not life threatening. The three men who stayed there the longest were exposed to about 180 millisieverts — nearly four times the annual safe limit, according to a government report released in July. Shinichi refused to help tie up the dangling cable in the basement because of his short boots, and a colleague wearing long boots volunteered to do it instead, saving Shinichi from injury. TEPCO spokeswoman Mayumi Yoshida said the team leaders later told officials that they decided to stay because they took their mission very seriously and that they might have been too occupied to think carefully about the water. But TEPCO should have thought more carefully given the unpredictable plant conditions, she said. Shinichi's radiation exposure from 13 days of working at the plant was just over 20 millisieverts, not considered a serious health risk, though he still worries. His lawyers, who are representing several nuclear plant workers in other cases, say TEPCO and its top contractor Kandenko illegally sent him and five other men into areas with radioactivity far exceeding the allowable limit without full protection. "Just sending the workers into the harsh environment and putting them at risk of exposure to dangerously high radiation is a labor safety violation," said Taku Yamazoe, a lawyer representing Shinichi. "Even if TEPCO didn't anticipate the consequences of all that water it had pumped in, it clearly lacked consideration for the workers' safety." Shinichi's experience was typical of the inadequate protection received by workers laboring in the extremely harsh conditions at the plant, though Yamazoe said the multi-tiered subcontracting system used at nuclear plants can obscure who is directly responsible in case of an accident. Investigations by the government, parliament and private groups have faulted TEPCO for inept crisis management, inadequate emergency training and miscommunication with authorities. 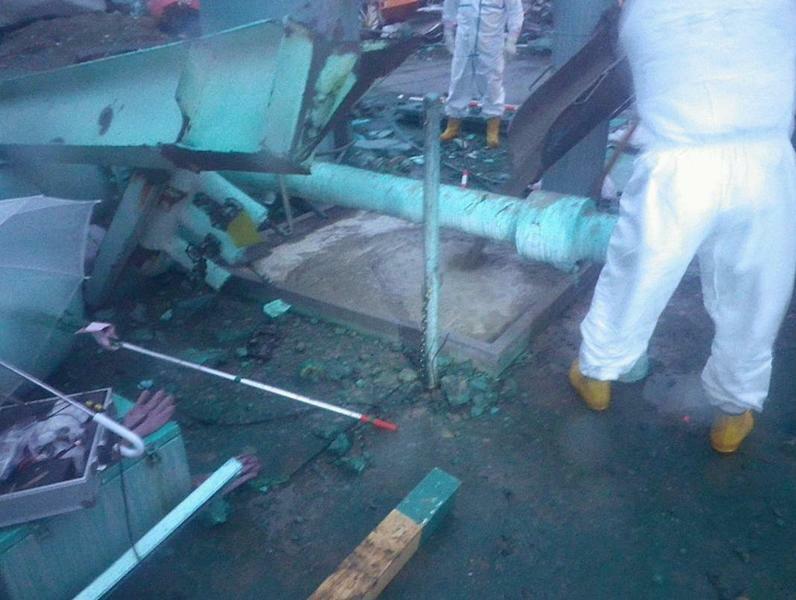 The parliamentary investigation took TEPCO to task for failing to deal with leaking contaminated water until the two workers suffered beta-ray burns in Unit 3, concluding that the operator was fully aware of the consequences of massive spraying and pumping of water into the reactors and spent fuel pools from the very beginning. Shinichi said that when he finished work at the nuclear plant each day, he would take off his clothes before entering his home to minimize the risk of radiation exposure for his 5-year-old son. He would toss the clothes into the washing machine and immediately rush into a bath. Many other nuclear workers face the same worries, he said. "I don't have education, and I'm already over 40. There is little choice," he said. "I was dumped. I worked hard, sacrificed my family and my child and this is how I ended up."